Request to Justice Department IG: "Investigate ICE Agent Zapata Murder"
(CBS News) Two Congressional Republicans who led the Fast and Furious investigation are asking the Justice Department Inspector General (IG) to open a probe into the murder of Immigration and Customs Enforcement (ICE) Agent Jaime Zapata on Feb. 15, 2011. Sen. Charles Grassley (R-Iowa) and Rep. Darrell Issa (R-CA) issued a letter to Inspector General Michael Horowitz today. The IG's office says it's reviewing the request. According to the letter, ATF may have had probable cause to arrest two firearms dealers before they bought and trafficked a weapon used to murder Zapata, who was on assignment in Mexico. "Only after Agent Zapata was murdered...and one of the weapons was traced back" to suspect Otilio Osorio "did ATF finally arrest Otilio, his brother and a third suspect for their gun trafficking activity," reads the letter. Congressional investigators say ATF had earlier witnessed the Osorio brothers in a Walmart parking lot providing 40 weapons with obliterated serial numbers to be trafficked to Mexico. It was what's known as a "controlled delivery," meaning law enforcement officials were monitoring the sale. In this case it was part of a joint investigation with the Drug Enforcement Administration (DEA). But "ATF failed to confront the two individuals" leaving them to continue to allegedly traffic weapons, including one used in Zapata's killing, according to the letter. In exclusive interview with CBS News, Zapata's parents said they had been kept in the dark on details of their son's death. In a related development, CBS News reported that a second gun used in Zapata's assault was trafficked by a suspect under ATF surveillance: Manuel Barba. 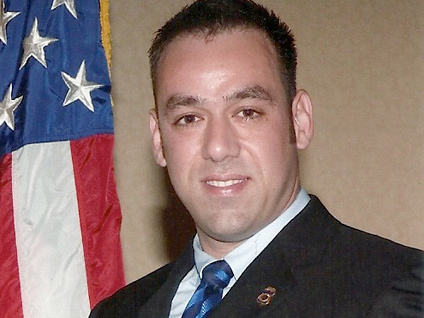 Zapata would be the second federal agent murdered by suspects using rifles allegedly trafficked under ATF's watch. Two months before Zapata was ambushed and gunned down, Border Patrol Agent Brian Terry was shot while on night patrol in the Arizona desert near the Mexican border. Two rifles allegedly trafficked by suspects under surveillance in ATF's Operation Fast and Furious were found at the murder scene.